Looking to buy tiny house on Amazon? Look no more! Now, you can buy one of the best tiny houses of 2018 on Amazon. 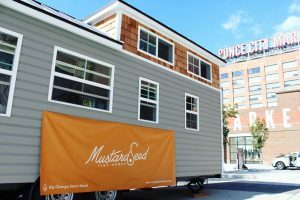 When it comes to purchasing a tiny house, many companies have houses available for sale immediately, while other tiny house builders work purely to-order. You can pick and choose all the features you desire (which drastically affects the price, of course), as well as color and style. Please enjoy our selection of 10 best tiny houses for sale 2018. This beautiful tiny home features a covered front porch, pine accents, tile flooring, decorative barn door, kitchen appliances and window coverings. 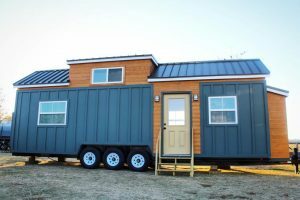 The tiny house is 399 sq.ft. and includes one bedroom and one bathroom. The open-concept layout and high ceilings make it feel very spacious. The Eagle Vista will cost you about as much as a fully-loaded luxury SUV. Probably because at 1,336 square feet, this cabin isn’t exactly tiny. It has two stories, and each floor is slightly more than 650 square feet. You can use this structure as an office building, a retail space, a home, or a hybrid home and business. If you’re on a tight budget, keep in mind you’ll still need to purchase additional building materials, like foundation and roofing materials. Given the size, you’ll probably need a professional crew to assemble this cabin as well. Okay this one actually is a shed. With up to 288 square feet of space, however, you can imagine making some improvements and turning this quaint colonial into the tiny house of your dreams. There’s no insulation, so that’s an issue if you want to live in a cold climate, and there’s also no bathroom, which is an issue pretty much anywhere. There are windows with screens, however. Those colonial details are also just adorable. This rustic yet stunning little house might be the best deal in the lot. It’s snug at 113 square feet and, like the colonial above, lacks a bathroom. But why would you need one, when this Nordic Spruce cabin is built for nature. Just poop in the leaves like God intended. Order now, though, because the company says these kits sell out every season. If rustic isn’t your thing, this 180-square-foot cabin features “contemporary urban styling.” That means clean lines and a sort of Scandinavian profile, along with large windows. The extra badass feature of this one is that the company says it’s suited to being installed on rooftops, so if you really do live in a contemporary urban environment, you can create a pretty unique space high up above those city streets. There’s no bathroom (this is becoming a trend) but you can install insulation. Now we’re cooking with gas. This is not a shed or a cabin. It’s a damn two-story house that you can order on Amazon. With 712 square feet downstairs and 396 square feet upstairs, it’s larger than many New York City apartments and modern-looking enough to offer some curb appeal. There’s space for a full bathroom and kitchen as well as three bedrooms and a sunny living room. All that for the price of a brand new Volvo station wagon. Like many other tiny home kits we saw on Amazon, you buy this cabin kit as a shell. 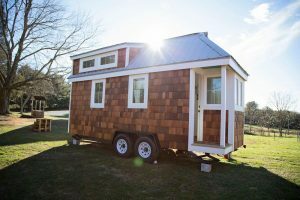 The 171–square-foot kit comes with the wood parts, doors, windows, and hardware you need to build the shell. It doesn’t come with furnishings, nor do you get all of the finishing supplies you need, like electrical wiring, plumbing, or roof shingles. 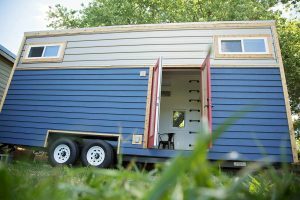 You can build this cabin directly onto a trailer, but the trailer is not included. For those looking to start building their tiny home, this could absolutely be a viable option. The concept of this model is similar to the Pioneer cabin kit, except it’s a bit larger at 228 square feet. Like the Pioneer, it’s an unfurnished tiny house shell that you can build on a trailer. 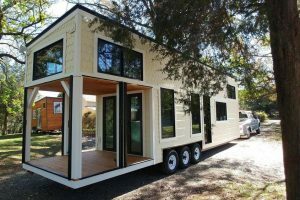 But, you can also build it as a standard tiny house as well. On the plus side, kits like the Frontier and Pioneer can speed the building time for a tiny home project. According to Tiny House Community, it takes the average DIY builder roughly 480 hours to build a tiny home. 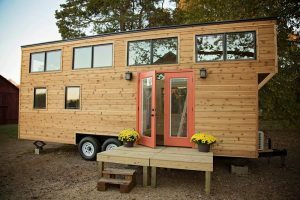 This stylish 400 square foot tiny home has an open concept floor plan, one bedroom, and one bathroom. It also boasts high ceilings and ample storage space. 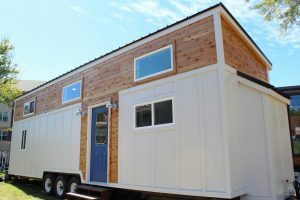 This little abode is more expensive than some of the other options, probably because it comes with more features, like plumbing, electrical, and kitchen and bathroom cabinets and fixtures. You will need to buy your own furniture, too, and pay a whopping $4,800 for shipping. 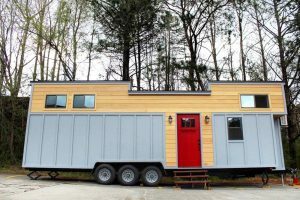 If your image of a tiny home is one where you have a living space downstairs and a loft where you can sleep, this cabin may be more your speed. It has 259 square feet of living space on the lower level, plus a 168-square-foot loft. Two adults can build this cabin in about two days. But, keep in mind the cost of extra materials like foundation materials, electrical components, and furniture. 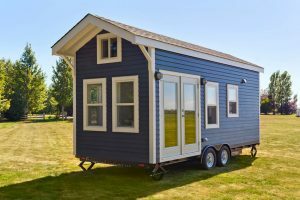 There are plenty of advantages of owning a tiny house: you can easily transport your home anywhere you wish, less maintaining, easy to find things, more comfortable environment, utility bills are less expensive, small properties might be easier to sell. It is the best idea to save money and time while living a minimalist lifestyle! 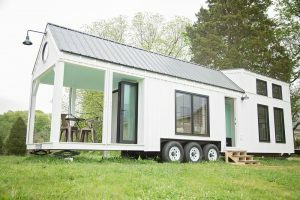 Tinyhousesnear.me is a participant in the Amazon Services LLC Associates Program, an affiliate advertising program designed to provide a means for sites to earn advertising fees by advertising and linking to Amazon.com. Amazon and the Amazon logo are trademarks of Amazon.com, Inc or its affiliates.